WorldMovieStore - Anatomy of a Murder Sinopsis. Otto Preminger turned this 1959 courtroom drama, based on the popular novel, into terrific adult drama. James Stewart stars as a small-town lawyer who defends an army officer (Ben Gazzara) accused of murdering a bartender who assaulted his wife (Lee Remick). --Tom Keogh. Read More Sinopsis. 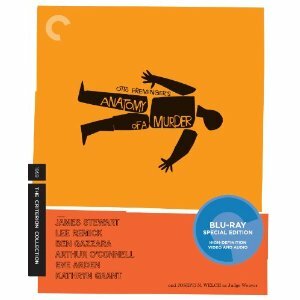 0 Response to "Blu-ray Release Anatomy of a Murder"